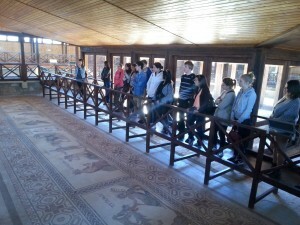 A day trip to Archaeological Places of Limassol and Paphos! The Erasmus Mobility Office of Cyprus University of Technology invites you to join us for one day trip to Limassol and Paphos. A travel guide will be with you for explaining the history of the archaeological places. The trip is open to all Erasmus students with a participation fee of 10 euros. (The participation fee includes transportation to all archaeological places).